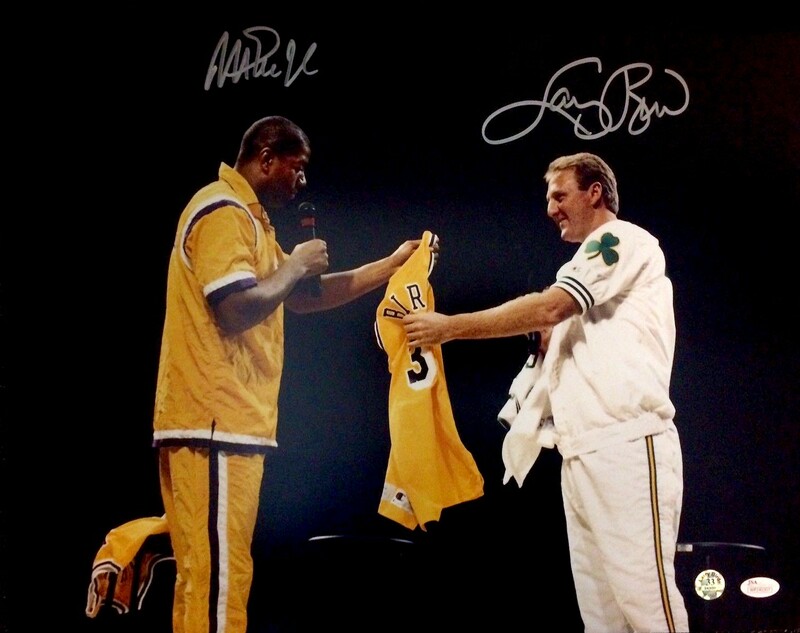 16x20 inch poster size photo of Magic Johnson and Larry Bird at the latter's retirement ceremony, autographed by both NBA Hall of Famers in silver paint. 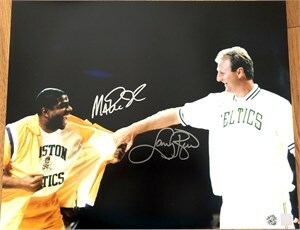 Magic's autograph was witnessed by JSA with their matching numbered sticker and certificate of authenticity card, Bird's autograph was authenticated with Bird's 33 numbered hologram sticker. ONLY ONE AVAILABLE FOR SALE.